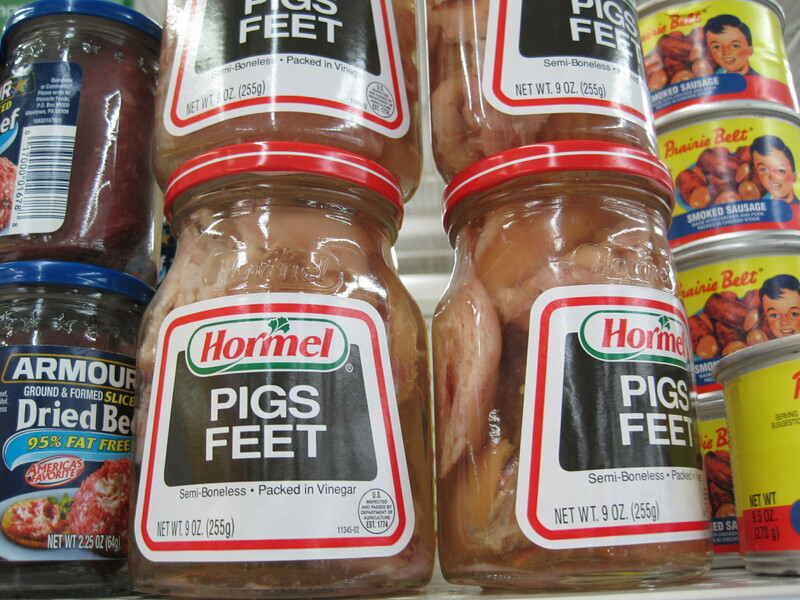 Pig’s feet. “Squeal like a pig”- just makes you think of Deliverance. 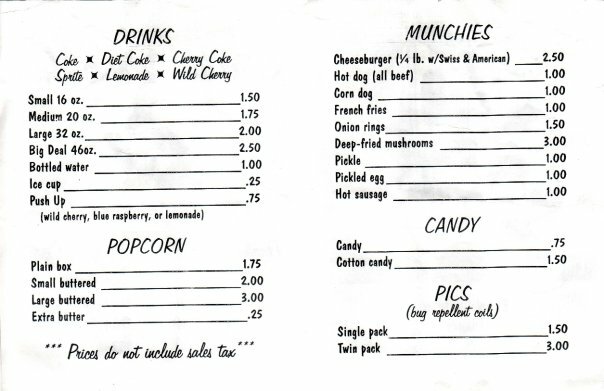 When I was a wee teen starting college in The Research Triangle Park in North Carolina, there was this place near Durham called The Starlight Drive-In/Ammo Shop. I kid you not, you could buy bullets and catch a flick all in the same place. I have a business card somewhere in my childhood keepsake boxes at mom’s as proof. Got to dig it up. I met Bob Groves, the owner, before he died and the place closed up completely in 2007. I just remember their giant bright pink jar of pickled pigs feet right next to their giant bright greenish-yellow jar of pickled eggs right on the splintery wooden counter. 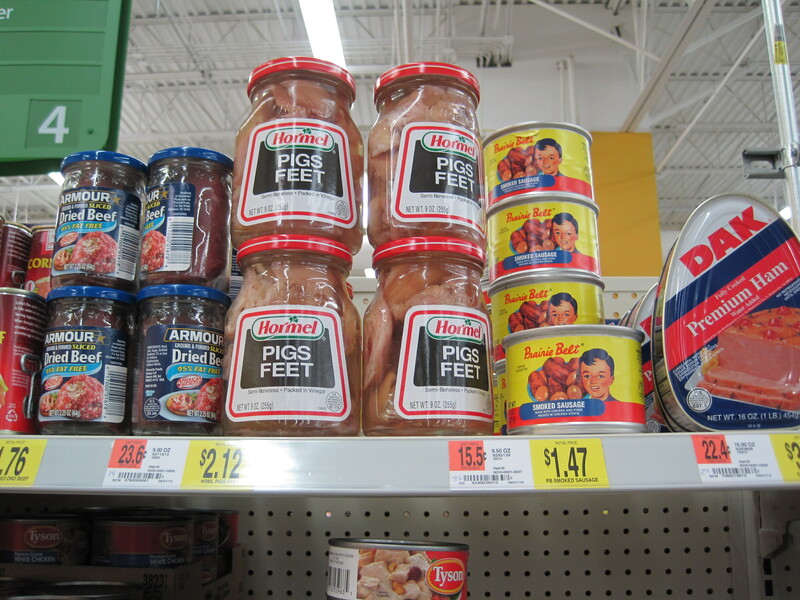 Since then, I have not seen over the counter pickled pig’s feet, until now on the shelves of WMWM. 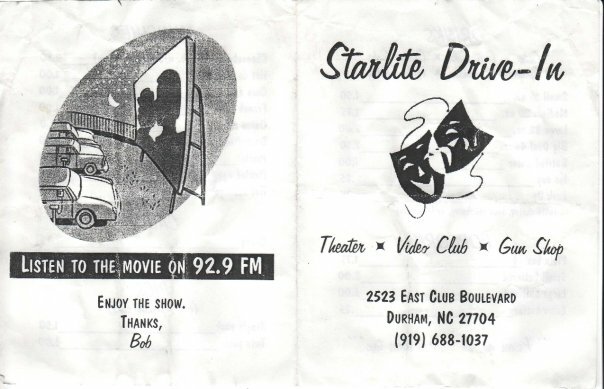 How ironic, I just found the Facebook page for the Durham Starlite and they said the land was just bought by Walmart. See for yourself. We really should’ve watched Deliverance again before we moved here. The location in the movie- The Cahulawassee River– it’s in Tennessee. This entry was posted in Uncategorized and tagged bob groves, deliverance, durham, durham starlite drive in facebook, north carolina, pickled pig's feet, research triangle park, starlite drive in. Bookmark the permalink. Billy Corgan's Personal Chef in LA!